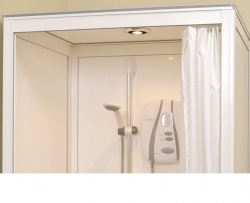 Self-contained, en-suite solution, easily installed into almost any room. Half cubicle with full height fixed panels & a full height single door, left hand illustrated above. 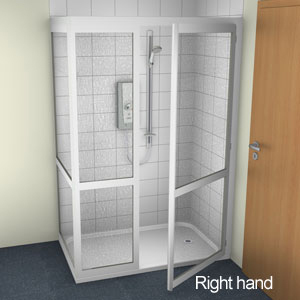 Compatible with almost every style of shower tray in our range (Except Swift & Tern1225C). 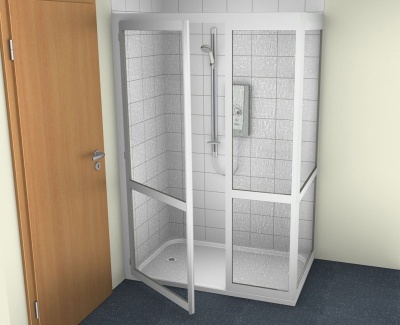 Unique shower tray system assists with cubicle assembly and helps to prevent the likelihood of leaks. Easy to get in to, choose from level access, 40mm high or up to 110mm high to suit unbreachable floors. Optional ramps or step makes access even easier for wheelchair or ambulant users. Anti-slip surface for assured underfoot grip. Glazed in PET as standard. Shower tray incorporates antibacterial protection which actively inhibits the growth of harmful and odour causing bacteria. 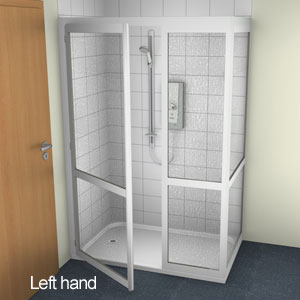 The addition of grab rails, shower seat will provide a functional solution for individual requirements.